This is the same Charging handle sold on Amazon for like 15-20 bucks. This is the one that is anodized with the smooth finish instead of that other high value charging handle sold by model 15 and the like that has that rough finish. You cannot beat this price for a well made product. This is a good quality standard charging handle, and at only ten dollars, the price cannot be matched anywhere else. It's comes with the military standard Type III Hard Coat anodized finish in black, and is nice and sturdy. Fits well in the AeroPrecision Upper Receivers, which Delta Team Tactical also sells, at an unbelievable price of $69.99. Do yourself a favor and pick up a few of these if you plan on doing a few AR builds. Great product at a great price. Perfect fit on several brands of upper receivers. 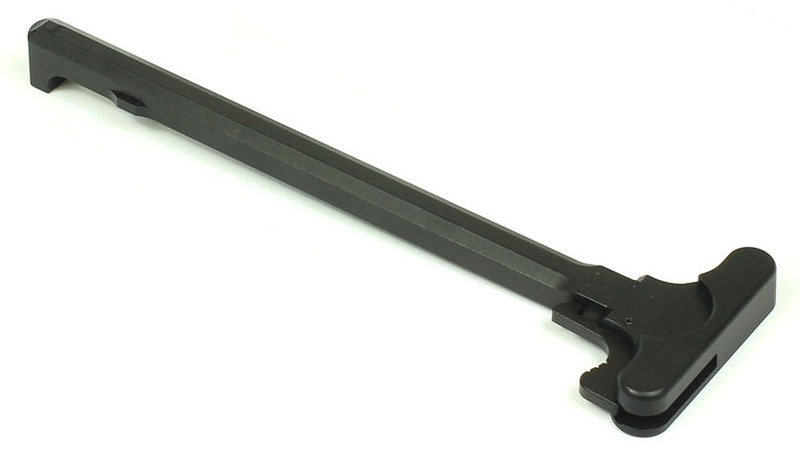 Mil spec charging handle at an outstanding price that functions great, no issues.